Learn how we distribute the shares each week. The master list of what we will be growing for you for this year. Every week when you come to the farm shop, we will have the fresh produce on display with everything clearly labeled. We utilize a system we call “Mix and Match” which allows you choices about the food you take that week. Usually you’ll see leafy crops like spinach, lettuce, kale and asian greens on one table and hard veggies like carrots, cabbage, zucchini, and sweet potatoes on another. We’ll let you know how much you get from each table that week and you can fill your bag as you choose. If you are just crazy about sweet peppers, you can fill you bag with peppers! But with so many good foods to choose from, we think you’ll mix it up and take a selection of veggies. We believe that shareholders really appreciate this method of distribution which gives them choices about what they get from the farm. Animals can play an integral part on a small farm in many ways. When managed properly, they add fertility and recycle nutrients back to the soil, and they can prepare land for vegetable production or be used to keep permanent pastures green and healthy. They are a source of food for us, and they are just plain fun to have at the farm. In 2009, we are raising a dozen pigs born at a local farm. They are raised outside and play an important role in weeding, tilling and fertilizing our cropland. At the end of the year, we have a pork sale where members have the opportunity to purchase fresh and smoked pork (processed locally). 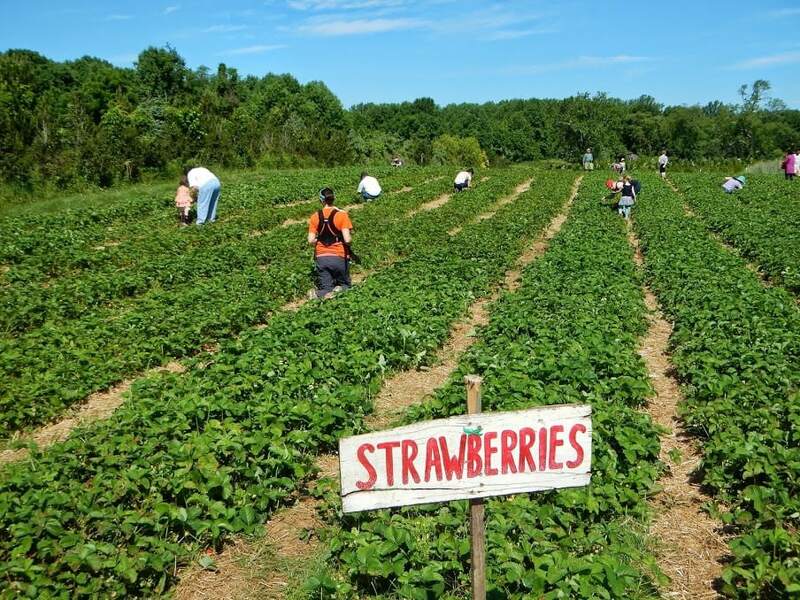 Although we are not organically certified, we farm using organic practices WITHOUT using synthetic chemical fertilizers, insecticides or herbicides. But that only tells part of the story. Our goal is to exceed the organic standards and farm in a way that builds the soil, protects wildlife and waterways, encourages biodiversity, safeguards human health and produces healthy, delicious food. We believe that soils are a precious resource. To protect the soils, we add rich composts, plant nutrient building grasses and legumes, rotate crops to different fields every year, and rest, or fallow fields in a rotating system. Our belief is that healthy soils grow healthy food. And again, we will never use synthetic fertilizers, herbicides or insecticides on our crops! We eat this food too!